Event overview - R&D: How to keep HMRC (and your bank balance) happy. Last week I had a really interesting round table discussion with a group of London’s most innovative and forward-thinking architects to discuss R&D tax credits and HMRC. While I had planned to cover some key points around the process of making a claim, what transpired was in fact an informative discussion where each architect shared their experiences and concerns about the R&D tax scheme. This allowed me to help them to think about what they need to put in place in order for their claims to be successful. It was interesting to hear from several of the attendees who have prepared claims how there was still an uncertainty about what projects and innovations are eligible for R&D tax credits and what stages of a project can be claimed for. There was also a concern about the likelihood of HMRC querying a claim if you are not the first organisation to submit for a similar project or innovation. Others in the room suggested that these difficulties in identifying the eligible projects were preventing them from submitting a claim. One of the focus points of the discussion was around the inability to claim if you’re an LLP and what the options are if you are thinking of restructuring in order to claim R&D tax credits. It is not as simple as just setting up a separate limited company alongside the LLP to capture the R&D claim, there are tax avoidance issues that need to be considered and the process of restructuring needs to be dealt with carefully. We discussed how R&D incentives, the reduction in corporation tax rates and the growing popularity of employee ownership trusts are beginning to challenge the benefits of continuing as an LLP. 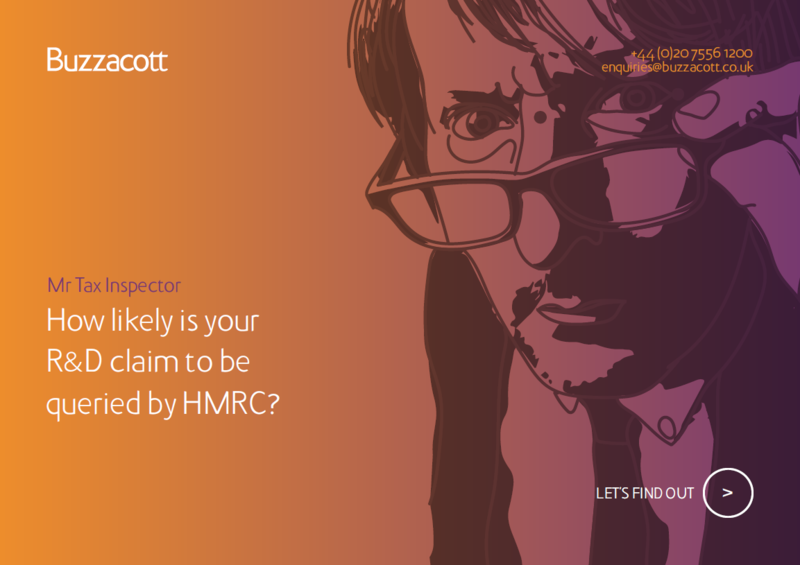 Another query that we discussed was around HMRC’s expectations from an organisation making a claim and the penalty for claims with careless errors. HRMC have become stricter over time and architects need to be preparing claims on an annual basis. Also, the assessments should provide a level of granular detail beyond any blanket assessments in order to keep HMRC happy. I’m looking forward to working with these architects in the future to assist them with their R&D claims and will be hosting another event on the topic within the next few months. If you would like to register your interest in this event or if you’re an architect yourself and have any questions around R&D tax credits please get in touch.